Nothing is more vital to small businesses than cash flow. Managing the flow of cash for your business is essential for managing your operations, maintaining adequate inventory and expanding. Many businesses struggle in this area as they fail to develop cash flow mastery. This often comes down to a lack of knowledge. If you don’t perform cash flow analysis, you may not recognize problems until it’s too late. 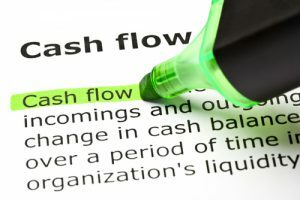 The cash flow process can be broken down into two main parts. Inflow – This is money coming into your business, whether from selling your goods and services, asset sales, loans or lines of credit. Obviously, your objective is to maximize inflow. Outflow – This is money flowing out of your business. This includes business expenditures such as purchasing inventory, payroll, loan payments and purchasing items and services needed to run your business. While the general idea is simple enough, it’s more complicated to thoroughly understand how cash is flowing in and out of your business from day to day. For this, you need a system in place. Net Income and Losses – By analyzing all of your operating activities, including sales and expenditures, you come up with a net figure for all non-cash items. Financing – Loans are part of the inflow and outflow of cash for your business. When you take out a loan, this is inflow. Making payments is outflow. Investments – If your business has investments such as property, securities, equipment or other assets, this is included in the inflows and outflows of cash. Purchasing assets is part of outflow, selling them is categorized under inflow. Collect receivables consistently. Make sure you don’t lose track of customers with outstanding invoices. Offer customers incentives to pay faster. Seek ways to reduce outflow. Always look for ways to cut costs without compromising quality. This may involve downsizing the size of your space, using more economical services or cutting back on ineffective marketing campaigns. Keep cash reserves. Many businesses fail due to lack of cash reserves. Be careful not to overextend yourself and keep some cash on hand during shortfalls. Arrange favorable arrangements with suppliers. By extending payables as long as possible, you increase the amount of cash at hand. For any business to succeed, it must develop cash flow expertise and understand the short-term and long-term inflow and outflow of money. One extremely effective way to gain control of your cash flow is to use invoice factoring so you get immediate cash for accounts receivable. Riviera Finance has been helping small and mid-sized businesses improve cash flow for many decades. Since their founding in 1969, they have grown into an industry leader that manages more than 50,000 invoices per month. They provide flexible financing solutions that help your business in a number of ways. 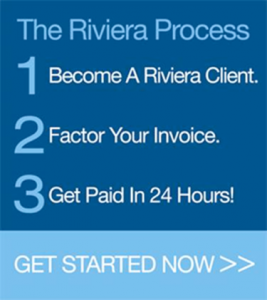 Sign up now to start factoring your invoices with Riviera and learn how you can get paid in 24 hours.